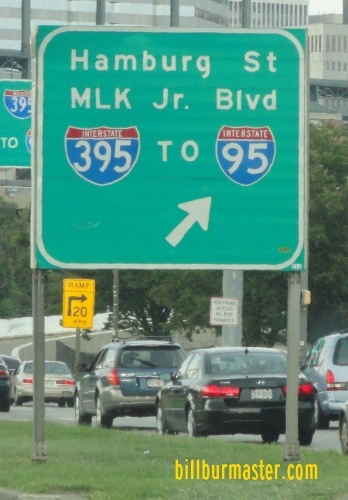 Interstate 395 is a norht-south spur at Downtown Baltimore. It runs just over one mile in length. This give traffic access to the Camden Yards Sports Complex. 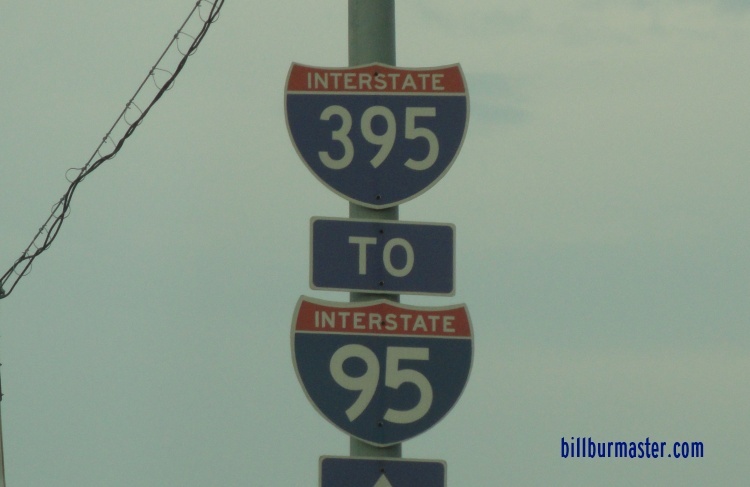 While in Maryland, I-395 is not multi-plexed. 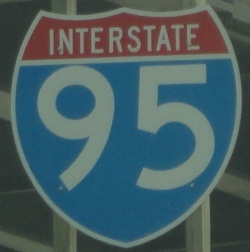 In Maryland, Interstate 395 crosses the following interstates. 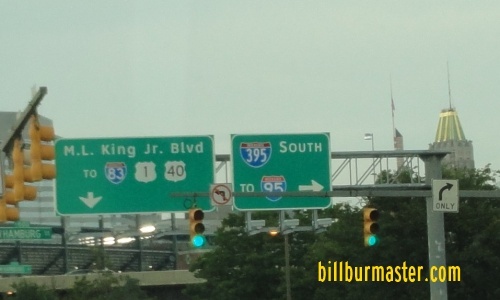 Info on the parent of I-395 in Maryland. 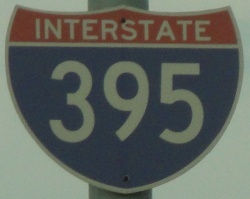 A guide marker on NB MD St Rt 295. A BGS on NB MD St Rt 295.